All our signs are cast in aluminium with raised artwork and text and are hand painted. 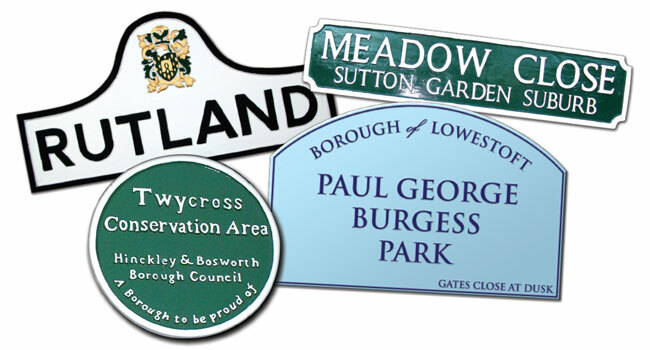 Signs are crafted in great detail and finished to a high specification to provide a low maintenance focal point for a Town or Village for many years. The signs can be mounted on galvanised decorative posts or on hardwood or recycled posts with decorative brackets G&G Cast Signs can produce decorative street signs to your specifications. Whether to give directions within your business premises, simple street decoration or a special event, our signage will add that touch of class to all surroundings. Just like all of our products, our decorative street signs are built to last from high standard durable aluminium and finished in UV resistant paint to remain as good as new for years to come. You can be assured that the finished sign will be true to your original designs or sketches whilst exceeding your expectations of quality.